These are the easiest pies ever (well, maybe except for a pudding pie) and super tasty! Combine the first three ingredients and slowly add the water to desired consistency. I love a flaky pie crust so for me, less is better! Once combined, roll flat and place in a pie tin. Using a fork, poke around the edges and bottom of the tin to allow for steam so you don't get bubbles. Bake the crust at 450* for 10-12 minutes and allow it to cool. While crust is baking, combine the filling ingredients in a sauce pan and heat over medium to medium-high heat until the gel has boiled for one minute. Stir enough to keep it from burning to the bottom, but don't over stir (if that makes sense). Allow gel to cool and place in the fridge to chill. peach, strawberry, nectarine, a combo of any of the aforementioned...you choose because they're all delicious! 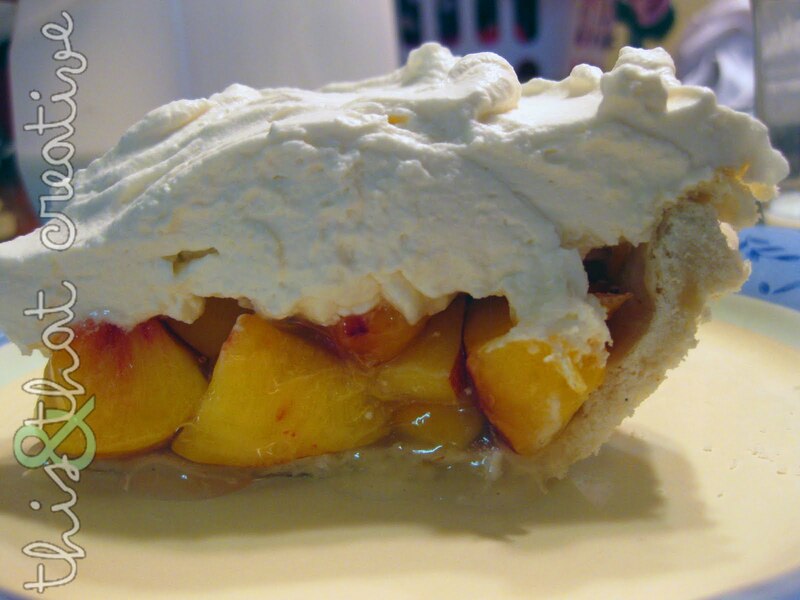 When gel has chilled, place sliced fruit in cooked pie crust and poor the gel over the fruit. No stirring necessary. Top with whipping cream and serve immediately! 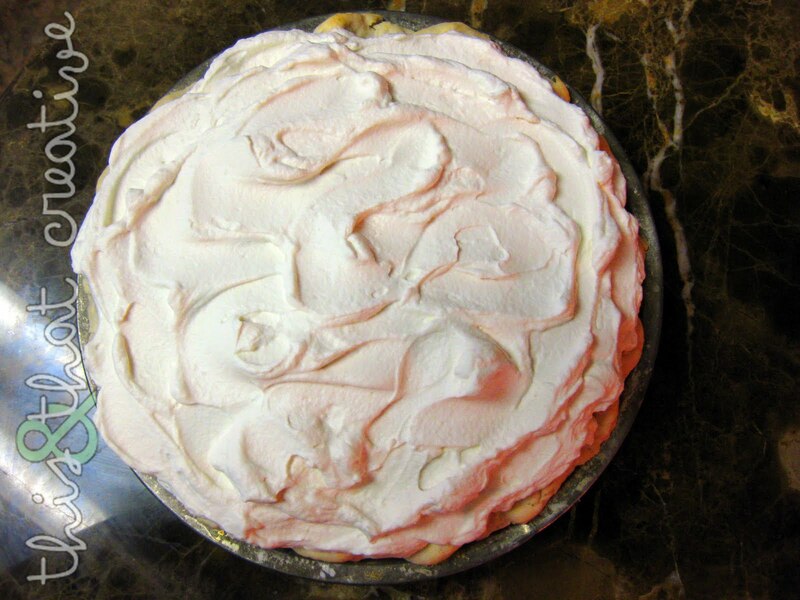 ...Note the cream-to-pie ratio...this is merely a suggestion! We just so happen to have some huge juicy peaches, and I am so going to try this!